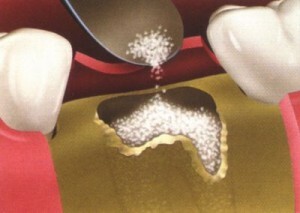 Following tooth extraction there is often resorption of the surrounding bone, resulting in loss of both bone height and width. 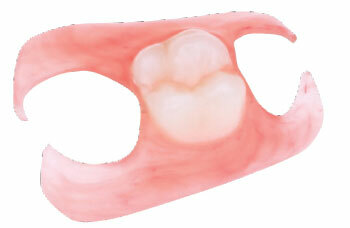 As bone resorbs the overlying gum tissue also tends to lose both volume and its normal anatomic form. This loss of bone and gum tissue following tooth extraction often results in both functional and cosmetic defects, leaving an unsightly collapsed appearance. 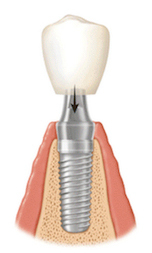 At Lakeview Dental we take a proactive stance on bone preservation, and because of advances in grafting procedures and bioengineering, bone and gum tissue loss following tooth removal can either be greatly reduced or completely eliminated. 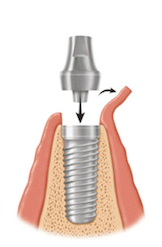 This proactive technique is termed ridge preservation bone grafting. 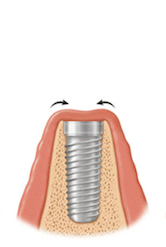 Following the removal of a tooth, a specially bioengineered graft material is placed within the extraction socket. 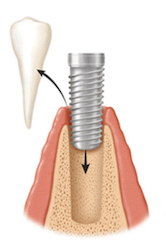 The bone graft material not only supports new bone growth, but also has been shown to preserve bone and overlying soft tissue following tooth removal.